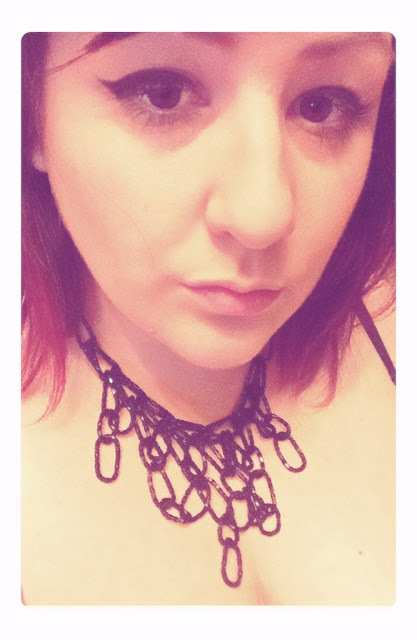 Olivia Accessories recently sent me a Black Mesh Necklace from their collection. I was really excited to get it and spent most of Christmas with it around my neck. You can check it out with my burgundy dress in my Christmas post next week. I thought I'd keep it simple and post it by itself. It's made up of little pieces of chain mesh that create a real urban gothic look. I liked the way it hung and moved as I wore it. I also loved the black I thought it really worked well with the winter trends. Would be great with a low cut dress, or the way I wore it at Christmas underneath my collar. Check that out next week!